As an Orange County, California boy, I had a variety of ways to get away. There was the beach, the movies, the hipster food places, and of course, Disneyland. To me, all these things allowed me to escape my everyday life of school, work, and sometimes even home. Most people who live in Southern California would agree with me that our options to be entertained i.e. or get away from it all were numerous. But there was something about going to Disneyland that made all the other options secondary. The moment you step foot on the red brick walkway and under a sign that tells you “Here you leave today…”, you know you’re in for something that isn’t ordinary. That was the point though. That’s what Walt Disney wanted to do for guests who walked into his Magic Kingdom. He wanted to transport them into a new world. He wanted to give them an escape. He wanted to immerse them in something that has never been seen before. Today, the word “immersion” used in the context of the entertainment industry is such a buzz word. It seems like every single announcement of a new offering has to have that word tucked in, but that’s literally what each offering is trying to do; extend a concept that Walt started when he created Disneyland. So when I heard that word used in the announcements regarding the Wizarding World of Harry Potter here in Southern California’s Universal Studios Hollywood, I gave it my attention. Finally, we SoCal boys and girls might have something new to give our entertainment dollars to. Harry Potter and his Wizarding Worlds in books and movies are worldwide hits since J.K. Rowling launched her first book about it all back in 1997. New entertainment products seem to be added to the money-making franchise, including a new play/book and a popular content website. 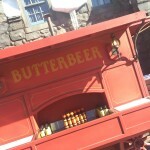 Still, there’s something about the theme park versions of the Rowling’s Wizarding World that make it entirely unique compared to its other, complementary products in the franchise. 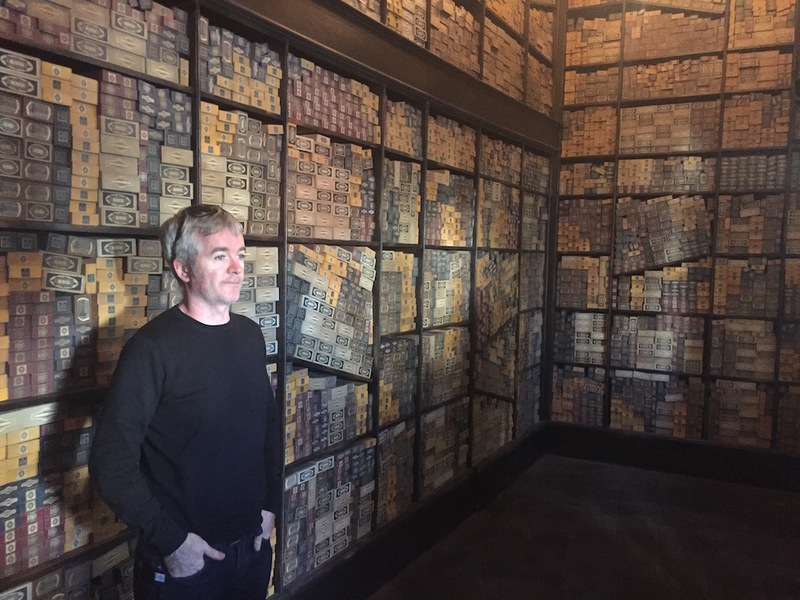 A few weeks ago, I got the opportunity to tour the Wizarding World at Universal Studios Hollywood with Alan Gilmore. 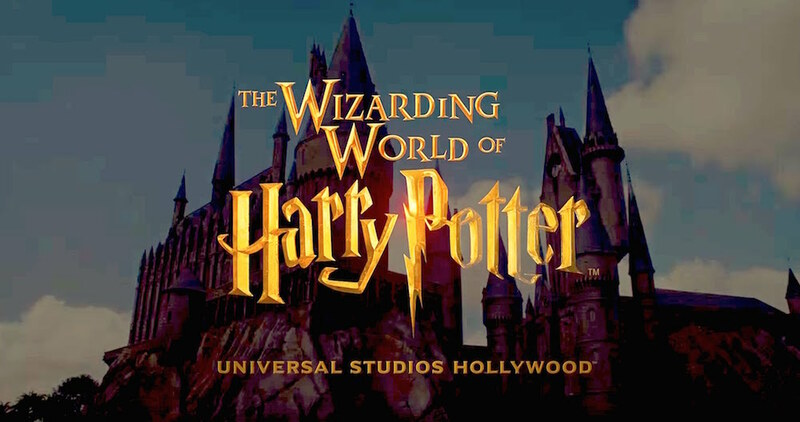 Gilmore is the supervising art director for the Wizarding World of Harry Potter at Universal Studios Hollywood and the art director for the Harry Potter films. By having a set art director, whose real job is to create a believable world for movies and their actors, help lead a creative effort to create a believable world for the general public to enjoy, you have the word “immersion” stamped all over the place! “Hollywood is the home of movies, so it has to look like a real movie set,” he said when we began the tour. 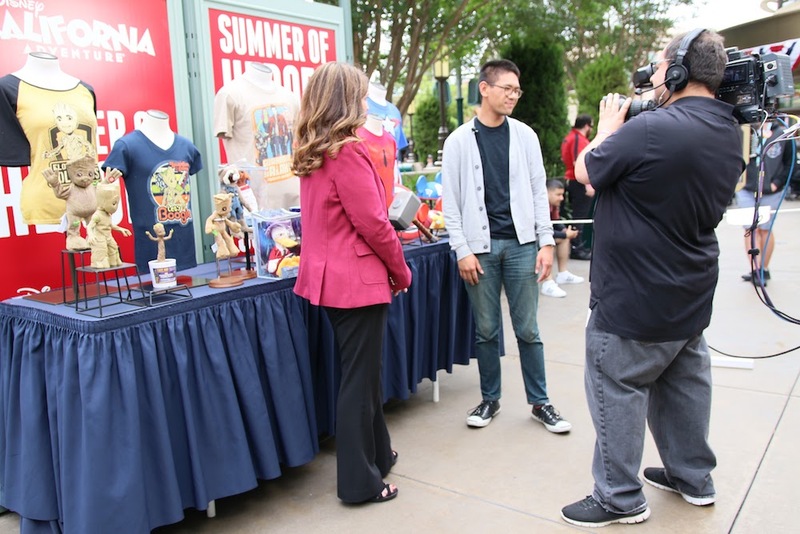 It was a fitting way to start, too, as Universal Studios’ whole draw has been inviting people to experience the making of movies. 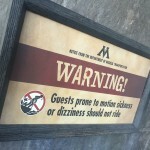 Most of Universal’s offerings have been more behind-the-scenes in type than a believable experience. That all began to change at the Hollywood theme park with when The Simpsons got not only a ride, but themed food and souvenirs areas that included a Kwik-E-Mart and Moe’s Tavern. It’s generally considered Universal’s first attempt at creating a themed land experience using an already popular intellectual property. If that sounds familiar, that’s because it is. Disneyland was the first-of-its-kind amusement offering that took popular movies and TV shows and turned them into real experiences that brought those stories to life in ways that only a theme park could. A theme park itself is exactly what it sounds like: an enclosed area that is designed to have a theme throughout. In the case of Fantasyland at Disneyland, it was an animated Peter Pan film that inspired Walt and his team to create a way that people could fly into Neverland with Peter and company. 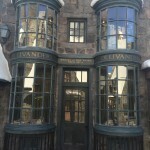 In the case of the Wizarding World of Harry Potter at Universal Studios Hollywood, it was similar in purpose, just a different world to put people in. 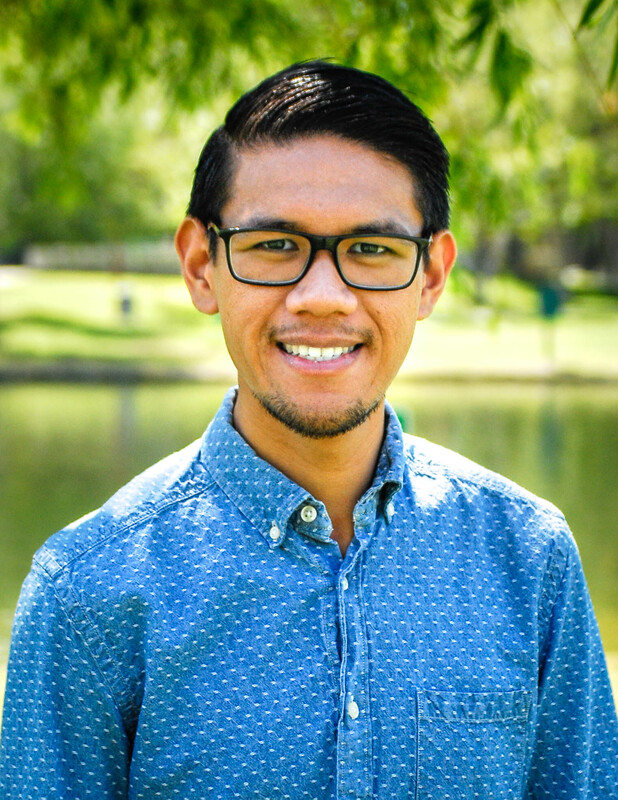 Consequentially, Gilmore’s world was the world of Harry Potter and he conformed all his design efforts in recreating what people knew about Harry Potter through the books and films, keeping in mind the purpose of transporting people into a different world. That world was the area in the Wizarding World called Hogsmeade, a village nearby Hogwarts School of Witchcraft and Wizardry. For those who aren’t familiar with the place in the books and films, it contains everything a young wizard needs to complete (or get away) from his or her studies. Gilmore and his team used the Hogsmeade seen in the Harry Potter films to create the one seen first in Florida, Japan, and now Hollywood. As he took us through the village, he kept pointing out the details. The first detailed location he had us stop at was the Hogwarts Express parked right at the Hogsmeade Station. Unlike in Florida, this train only has a photo op, but a highly detailed, authentic photo op according to Gilmore. The seat fabrics, rails, and lights to recreate a train car interior where Harry, Ron, and Hermoine first became friends were the same materials used for the photo op. Departing the station, Gilmore pointed out the details on the building’s facades, each one made to look like real Scottish buildings. The scale of them was also created to mimic the real size of them in Scotland. 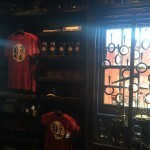 Walking into Honeydukes candy shop, we saw even more detail including the actual candy merchandise you can buy. “These are actual chocolate frogs,” he said and he wasn’t kidding. Even the packaging of the chocolate treats matched the exact packaging you see in the film. 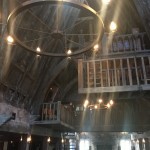 Moving onto 3 Broomsticks, the main restaurant in the area, Gilmore pointed out even more detail like the wood that is a staple to the building. It looked very old, stained and rotted as if time and moisture had really took its toll on it. Gilmore even had us stop at a certain point in the restaurant to take awe at how the sunlight came inside. “The California sun is our lighting designer,” he said. Once again, all of these elements together made it look exactly like the place you saw in the film. 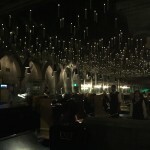 In Olivander’s Wand Shop, hundreds if not thousands of wands lined the walls in no particular order, just waiting to be bought and actually tried in some enchanted places throughout the area. You might even find Olivander himself who’ll help you pick the wand that calls you master – just like in the film. Our tour ended in front of Hogwarts Castle, home to the main attraction of the area called Harry Potter and the Forbidden Journey. 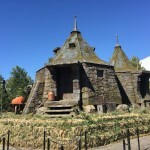 Gilmore invited us to take our cameras and zoom into the castle that’s perched upon a hill just like the film to look at the artistic detail made to mask its film counterpart. “It’s probably California’s best castle. I’ve seen most of your castles and I do feel like this is the best one,” Gilmore said. Take that as you will, Disney fans. We ultimately had the opportunity to go and experience the ride for ourselves, but not before taking a tour of the very long line to do so. 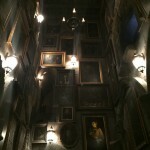 It’s less of a line and once again more of a highly detailed experience that will take you through certain places in the castle like the Defense Against the Dark Arts classroom and the portrait hall (sadly without the moving staircases). 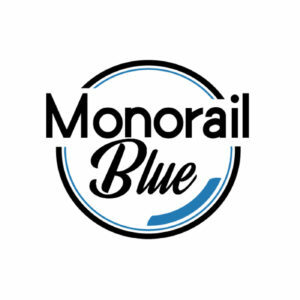 The ride itself is one of the most unique rides you’ll probably ever go on, combining rotary motion with forward propulsion. The effect of those movements tied with 3D imagery and actual larger than life set pieces made the whole experience feel as if you were on a broom traveling around the Wizarding World itself. 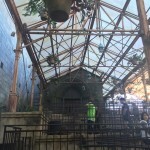 The exit of the ride spit you out in Filch’s Emporium, another highly detailed retail location where you can pick up wands, house keychains, scarfs, and even brooms. At the end of our visit as we were escorted out, I could tell that my media colleagues and I clearly didn’t want to leave. That feeling was so strong that as we were exiting the park, one of us opened our mouth and asked if we could get a few extra minutes to ride the other ride, a kiddie coaster called Flight of the Hippogriff. We were grown men and women who were totally taken by the effect the place had in our short one hour tour. We were clearly amazed at being able to sit in the same Hogwarts Express car as Harry, Ron, and Hermoine. We were clearly amazed at the candy packaging we saw in Honeydukes. 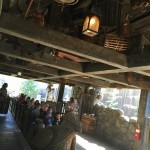 We were clearly amazed at how designers of 3 Broomsticks decided to hide all the cashier technology behind rotted wood. We were clearly amazed how wands could actually perform magic in Olivanders. The reason, however, why we were amazed isn’t too amazing because it should be all familiar to us, especially those who’ve been to Disneyland. There was a time when riding Space Mountain was us actually boarding a careening space ship. There was a time when walking through the Hollywood Tower Hotel was to travel into another dimension. There was a time when taking a stroll down Main Street U.S.A. was taking a stroll back in time. 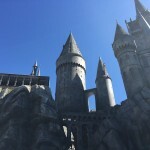 Perhaps all those feelings still exist for you today as you visit the Disneyland Resort, but places like the Wizarding World of Harry Potter are now here to make you feel the way you did when you first saw those places on TV and movies. To have the opportunity to walk into those TV shows and movies and live out your favorite stories; that’s magic. Walt Disney introduced a theme park that immersed us into some fantastic stories and now, that legacy flows on. All for our benefit, our entertainment, our escape. “It’s a film set meets a themed world. Actually come to think of it, it’s not a theme park. it’s a place,” Gilmore concluded as he looked out on those California Scottish mountains. We’re pleased to inform you that you’re invited to attend the grand opening VIP event that will officially open the Wizarding World of Harry Potter at Universal Studios Hollywood! Be sure to check back here soon and follow us on social media tonight, April 5 for some magical things to see. Previous story Which Hogwarts House would the Disney Fab Five be sorted in? Next story Will Disney take on YA literature with a return to “The Black Cauldron”?